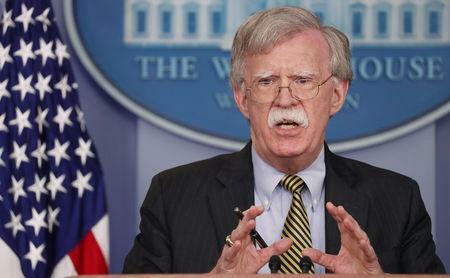 WASHINGTON (Reuters) - President Donald Trump's national security adviser, John Bolton, will visit Moscow next week for talks that may include telling Russian officials that the United States plans to withdraw from the landmark Intermediate-Range Nuclear Forces Treaty. "Despite our objections, Russia continues to produce and field prohibited cruise missiles and has ignored calls for transparency," the official said. Withdrawing from the INF treaty could have major implications for U.S. defence policy in Asia and towards its main strategic rival there, China, with which Trump is engaged in a trade war. "It has had major implications for Asia," said Eric Sayers, who served as an adviser to former U.S Pacific Commander Admiral Harry Harris and is now an adjunct fellow at the Center for a New American Security. "This will give the Pentagon and Indo-Pacific Command new conventional options to restore the military balance in the theatre," Sayers said. Earlier this month, U.S. Defense Secretary Mattis said Russia’s violation of the INF treaty was "untenable" and unless it changed course the United States would respond. 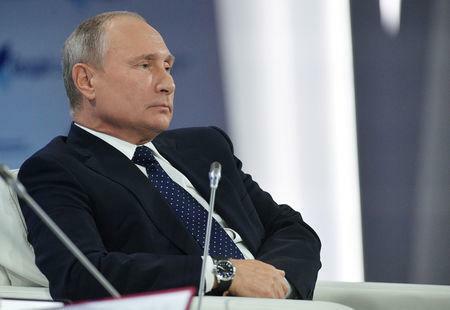 The Kremlin said Russian President Vladimir Putin planned to meet with Bolton, the RIA news agency reported. Bolton's meetings in Moscow were scheduled for Oct. 22-23, RIA said. "Heading to Moscow tomorrow to meet with senior Russian leaders, including Foreign Minister Sergei Lavrov and Security Council Secretary Nikolai Patrushev, to continue discussions that began in Helsinki between our two countries," Bolton said. Critics of Trump have accused him of being soft on Russia, and both Republicans and Democrats in the U.S. Congress are pushing for more sanctions on Moscow. Sanctions had been imposed for Russia's suspected meddling in elections in the United States and other countries, the Ukraine crisis and allegations it was behind a nerve agent attack in Britain. Trump's invitation to Putin to visit Washington still stood, the official said. Trump made the invitation in the aftermath of a summit in Helsinki in which he appeared to accept Putin's denials of interference in the 2016 U.S. election over the word of his own intelligence agencies. While in Moscow, Bolton will emphasize the importance of maintaining sanctions against North Korea in order to keep pressure on the elimination of Pyongyang's nuclear weapons program. Russia and China have suggested easing sanctions.